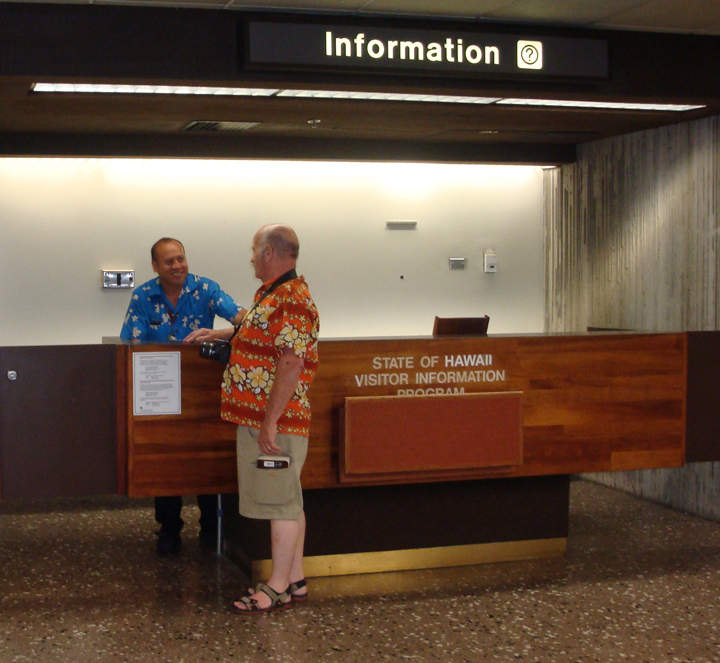 Daniel K. Inouye International Airport offers a Visitor Information Program (VIP) to assist travelers. The program is staffed from 5:00 a.m. to 10:45 p.m. (Hawaii Standard Time) daily. Information is available by calling (808) 836-6413.